Why your personal finance is out of your control and how to bring it under your control? Does any of the above sound similar to you? Why managing your personal finance is out of your control? Why are you in a delimma always? 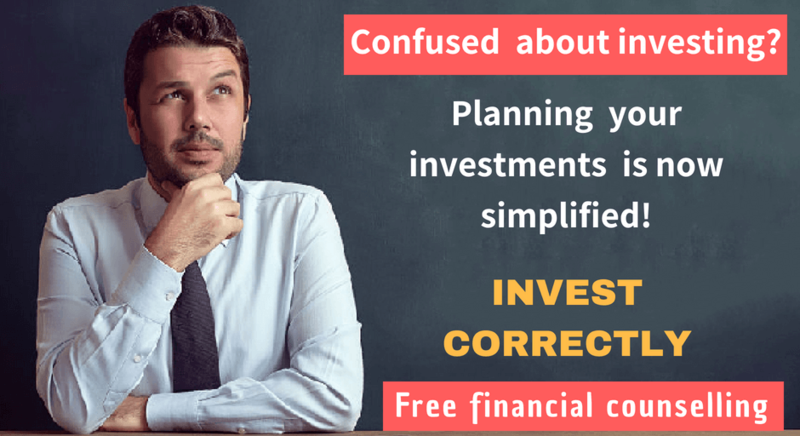 Why you are not able to take any confident investment decisions? When things go out of your control, you feel less confident and you are in a dilemma. Lesson 1: You have control over your personal finance and investment decisions. But you don’t have control over the consequences of your personal finance and investment decisions. Lesson 2: Timeless personal finance and investment principles have control over the consequences. I discovered the above 2 lessons after studying and reviewing hundreds of investment portfolio. Let us put the above lessons in a proper perspective. You can choose to invest in Fixed Deposit or Equity Mutual Fund. You have complete control over this choice. Fixed deposits beating inflation or markets being stable are not under your control. The consequences are not under your control. a) A safe investment will not deliver higher returns. b) High return investments will be volatile. Investment principles like these are timeless. They produce both personal peace and dramatic investment results. How to bring personal finance and investments under your control? By now you could have guessed. If you take your personal finance and investment decisions based on the timeless investment principles, the consequences will be under your control. Though the question looks tough, the answer is simple. Create a principle based personalised financial plan. The power is in principle based financial plan. To bring your personal finance under your control, financial plan is really powerful. i.Personal Financial plan is created based on timeless investment principles, your goals and priorities. ii. Personal Financial plan empowers you to close the gap between what you deeply want from your personal finance and the way actually you manage personal finance and take investmetn decisions. iii. Personal Financial plan help you escape the tyranny of dilemma of investment decisions & market moods and march peacefully towards your personal finance goals. iv. Personal financial plan stops you take decisions based on your mood or market mood. v. Persoanal Financial Plan stops you take long tern investment decisions based on your temporary emotions. It helps you take rational decisions. vi. Personal financial plan gives you clear direction to take any personal finance and investment decisions. Personal financial plan is like a light house which guides us whenever we need direction. What amount of safety to look at and what amount of risk to take? How much liquidity is required and how much can be locked in long term investments? How much returns are required to meet my goals? viii. You will stop taking investment decisions based on advertisement, sales pitch, scheme brochure; you will start taking investment decisoons based on your personal financial plan. Don’t allow any other forces to control your personal finance and investments. You yourself can consciously control the consequences of your personal finace and investment decisions by creating a personalised financial plan. To get this financial stability and security, to understand our unique Holistic Financial Planning Process we offer a 30 minutes free consultation.